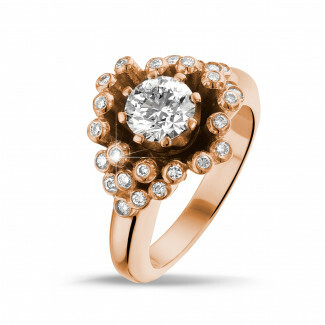 For those who prefer more original rings, we can recommend our collection of red gold designs. Whether you opt for a solitaire set with a single diamonds, a “Toi et Moi” design with two diamonds or a trilogy with three diamonds, red gold rings are a joy to wear. 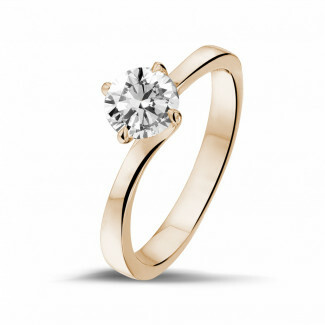 BAUNAT can also offer you diamond rings in white gold, platinum or yellow gold. At BAUNAT, you can find different ring designs. From simple yet elegant rings to more luxurious designs, you will find the ring that corresponds perfectly with your personal taste and style. The precious stones used can also be personalised according to your wishes: diamonds, rubies, emeralds or sapphires. 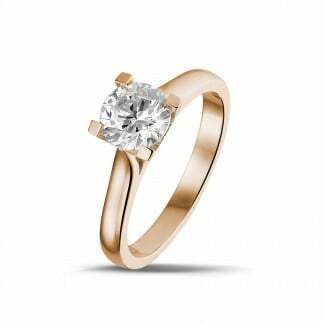 Red gold is definitely an original metal choice that lends itself beautifully to a diamond ring. 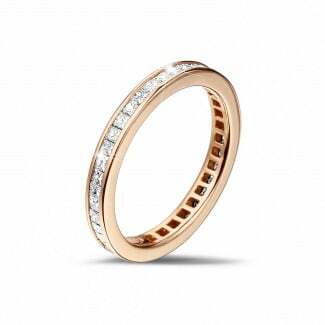 A red gold ring set with diamonds enhances the beauty and the elegance of the woman who wears it. Red gold rings are ideal for women who prefer a original ring that differentiates itself from the so-called ‘classic’ rings. Some red gold rings are dainty, but BAUNAT also offers more luxurious designs, with diamonds of all shapes and sizes adorning the ring. Our collections include rings that correspond to different tastes, styles and budgets. Thus, whether you prefer dainty or luxurious, at BAUNAT you will find the ring you are looking for. 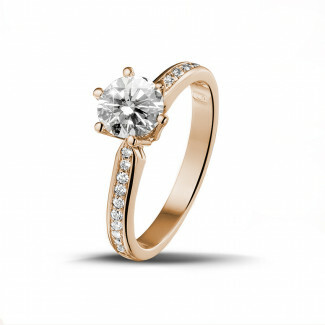 What is the price for a diamond ring in red gold? 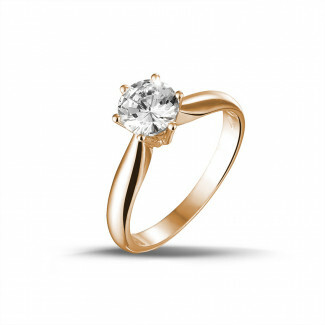 BAUNAT does not only offer an extensive collection of diamond rings in red gold, we also offer your high quality jewellery at the best possible price. Handcrafted in Antwerp, every jewel comes with a certificate that guarantees its authenticity. Moreover, we only work with first choice materials to ensure the best result and resilience. The price of your red gold ring depends on multiple criteria, from the complexity of the design to the size and amount of diamonds incorporated in your ring.